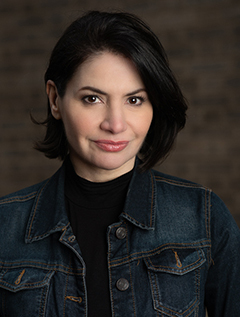 Romy Nordlinger is a New York City–based actress and narrator who has recorded over 200 audiobooks. She has been recognized with critical acclaim in AudioFile magazine, Library Journal, and Audible, amongst many others. Romy has narrated a wide array of genres, including mystery, romance, sci-fi, chick-lit, self-help and nonfiction. She also has a strong command of language and dialects and has recorded titles in a plethora of accents ranging from Russian to Scottish and back around the globe again. Some film credits include featured roles on Law & Order (Officer Talbor), All My Children and Real Life. She also has starred in dozens of productions Off-Broadway and regionally. A passionate bookworm and actress, nothing brings Romy more joy than bringing a book to life by fully embodying its characters and faithfully telling its story with all her heart.